Before purchasing a security system, you might think you are saving some money by buying from a huge retailer, but in the long run you may be spending much more. Our Technical Consultant will visit you and give you an onsite consultation to determine your exact needs and customize the right cameras for you. Our Video Surveillance systems are designed to process video, audio and data from local and remote network surveillance environments. 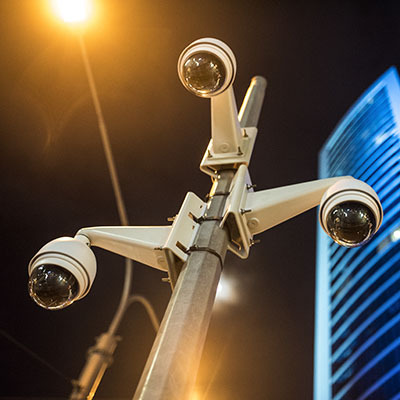 With more special features and more integration versatility provided, our surveillance system delivers more powerful and streamlined surveillance operation performance as well as enhanced management efficiency. Let us show you the difference between IP surveillance in HD quality versus regular systems. Better resolution means better evidence – and evidence is the overall goal. HD Security cameras technology can be divided into 2 main categories, Over IP and over Coax. Coaxial HD security cameras signal can be transmitted over CAT5/6 or optic cables to extend the maximum transmission distance, in some cases Coaxial signal will be converted to IP signal. HD IP Cameras in most cases are less reliable and more expensive, but do have many advantages; the technology can reduce labor cost significantly when using IP based infrastructure, as well IP protocol support much higher resolution and can support built-in features such as: video analytics, local recording backup, PoE and other. Our technical team and engineers attend: Manufacture training, certification classes, Trade shows and product release events regularly, so that we can provide state of the art technology as part of our designed systems. Our team will Service, install, maintain and upgrade brands like: Hikvision, Geovision, AXIS, ACTi, Panasonic, NUUO, Pelco and many other, contact us for more information.